Very sad to report that Al Rees, educator and writer on artists’/experimental film and video, died on November. 28th Al studied philosophy and politics at Lancaster University. 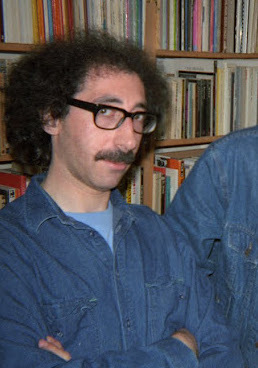 He became interested in experimental film through visits in the 1960s to Better Books and subsequently the Arts Lab and the London Filmmakers’ Co-op. After David Hall’s retirement in 1988 (David also died recently), he ran the Time Based Media course at the newly created Kent Institute of Art and Design, Maidstone, from which numerous graduates have made careers in film and video, both as artists and commercially, and in related areas. Al was a rigorous tutor, and Crits would often last all day, running into the evening, with only a short lunch break. Students were expected to discuss and defend their work in detail. The experience was often grueling, but most came to appreciate how much they learned in the process. In 1996 Al moved to the school of Visual Communication at the Royal College of Art, to become Research Tutor there. He had put in very long hours at Maidstone and was frustrated by the lack of understanding and support among management. At the RCA he successfully supervised many MPhil and PhD projects, several in the growing area of ‘practice based’ projects, about which he had misgivings, but was always supportive of the students doing them. Al had a vast and detailed knowledge of C20 culture, embracing philosophy, politics, history, critical theory, Fine Art and music, as well as cinema history and theory, which he had taught as a visiting lecturer in a number of art schools around the country (and in which he had begun an uncompleted MA at the RCA previous to joining the staff there). The learning was worn lightly, and one would sometimes be surprised by unsuspected areas of knowledge, as when, walking down Queensgate one evening, he identified a rare Lamborghini: Al didn’t drive but it turned out he knew a lot about cars. He was very good at spotting, or rather defining, trends. One of his recent bugbears was what he called ‘cultural studies’ art: art, often film, which picks ready-made references and cultural phenomena and forms them into an undigested melange that usually fails critically to transform or examine its own constitution or status. He blamed this trend on the way cultural studies and so-called theory has replaced the teaching of art history among other things. Al published many essays and book chapters, but will be best remembered for his A History of Experimental Film and Video, which has been through two editions and many reprints since it was first published by the BFI in 1999. Its breadth and detail attest to his vast knowledge. Al was a wonderful, loyal friend, mentor and colleague: supportive, argumentative, acerbic and funny. He will be missed by the many generations of students he taught, as well as by friends, colleagues and admirers and not least Angela Allen, his partner, also a highly knowledgeable teacher and wonderful painter. Between the two of them they once effortlessly convinced me why Lucien Freud was not the great painter that most critics take him to be.